← Responsible dog ownership – what does it mean in your town? Take Your Dog to Work Day is Friday, 24th June this year. This day is used to help raise funds for animal care organisations around the world as employers sponsor special events for employees and their dogs. It has also become an opportunity to introduce employers to the benefits of a dog-friendly workplace. 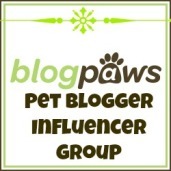 The folks at Pet Sitters International started this event back in 1999 and their website gives you lots of useful information about how to get your employer on board, tips for success, and event ideas. There’s still time to organise your own Take Your Dog to Work Day for this year! This entry was posted in dog-friendly workplaces and tagged dog-friendly workplaces, fundraising, Take your dog to work day. Bookmark the permalink.